Traumatic events and crises can affect any workplace. 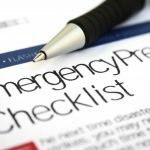 They range from the major incident such as an act of terror, active shooter to natural and man-made disasters that affect the whole business and the community it is part of – to events that impact on a smaller group of employees. These can include violence, robberies, sudden death and suicide, serious accidents and many, many other incidents that leave employees (and the organisation) distressed and destabilised. 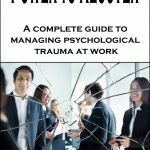 If you are involved in the management of a traumatic incident at work – whether you are responsible for preparing an organisation, responding to the crisis or facilitating the recovery of those affected – then this book is written for you. Illustrative examples, practical activities and useful resources are interwoven throughout the book, helping readers to explore issues and draw up a strategic plan based on their specific context. Whether you are new to the subject or have considerable experience, this book will offer new insights as well as pragmatic, practical suggestions for action.